Here in England today marks Father's Day! (Sunday 17th June) and if you forgot today was Father's Day and if you haven't bought your Father a gift yet, then fear not! As I have the perfect idea for you. Launched earlier this month, Pour Homme is a sophisticated fragrance for the modern day gentleman and will be the perfect gift this Father's Day for those special Father's who love to take care of themselves and of course, do so whilst smelling impeccable! The opening of Pour Homme begins with a blast of spiciness from the Pink Pepper note being the most prominent whilst having a fresh, citrusy feel to the fragrance with the light Neroli soon kicking in. As the fragrance begins to settle down, the scent shifts from being a spicy, fresh, citrusy scent to feeling more earthier and musky. The overall feeling that I got from Pour Homme was that it was a well-rounded, strong fragrance that felt warm on my skin yet still had a fresh, light feeling to it with the citrusy notes! 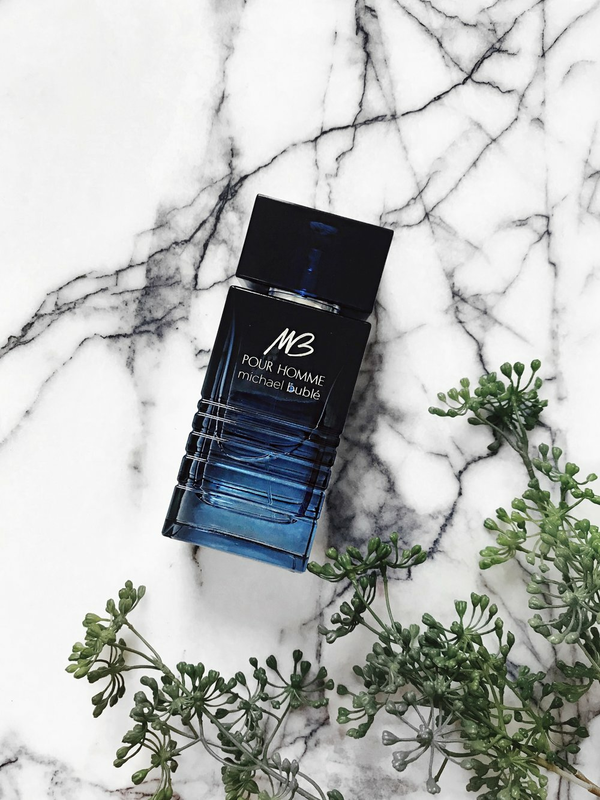 Pour Homme lasted an impressive 6-7 hours on my skin and I gained a few compliments from having worn this, and I will admit, there were a few surprises when I revealed it was indeed Michael Bublé's fragrance! I too was also surprised as when I have tried 'celebrity' fragrances before, they've all felt a little generic and as though they could all be repackaged differently just with the same fragrance... Talking of packaging, I love how slick the bottle looks with the midnight blue colour which took inspiration from the classic microphone with its sharp and defined lines across the bottle. In terms of the sillage, I found it to be medium-heavy and I would recommend wearing Pour Homme late evening going into the night. Especially with the warmer Summer nights really highlighting the notes within this fragrance that project the scent further! Available in two sizes: 120ml and 70ml, to purchase Michael Bublé - Pour Homme, click here! Have you smelt Michael Bublé - Pour Homme before? If so, what did you think to it? Is this something that you would love to try? What do you think to 'celebrity' fragrances? Are you a fan of Michael Bublé? If so, what's your favourite song? Mine has to be 'Christmas (Baby Please Come Home)' so festive! Do let me know your thoughts below as I would love to hear from you, and don't forget to click the 'like' button below!